Cathryn’s boiler back to Wirksworth this year? HUDSWELL, Clarke ‘PLA’ 0-6-0T No. S102 Cathryn may be reunited with its boiler before the end of the year if the pressure vessel’s overhaul is completed by Israel Newton & Son at Cromford. The former Newmarket Colliery locomotive (1886/1955) is currently under restoration at the Ecclesbourne Valley Railway (EVR), just up the road from Cromford at Wirksworth. The project is the third steam restoration to be carried out by the small team, and is by far the most extensive. The work has included the straightening of the loco’s frames following collision damage, the rebuilding of the rolling chassis, and the renewal of platework above the frames. 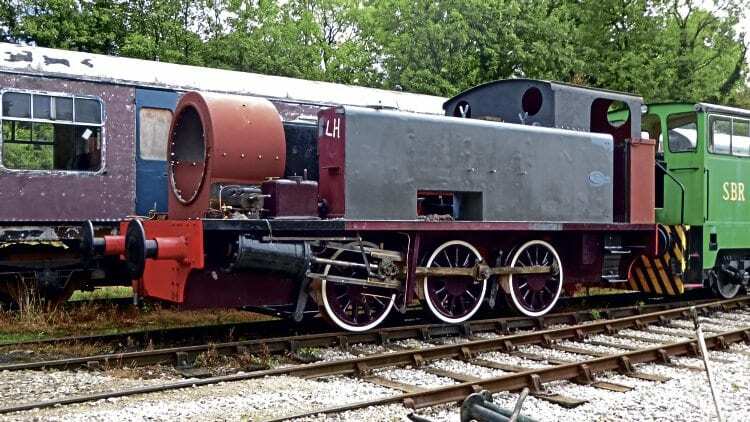 A recent addition has been a new rolled smokebox, which was trial fitted on September 19.